Search Engine Optimization, better known as SEO, is the method of increasing the volume and quality of traffic to a website on leading search engines such as Google, Bing, and Yahoo via organic or search results. Search engine placement and optimization can do wonders for your business and website by providing higher ranks on search results. It is an effective way to expand and enlarge your business by tapping hidden opportunities of search-hungry world. Are you looking to gain higher ranking on search platforms? Intelligent App Solutions could lead the charge for you. We understand that every business is different and requires a different set of search engine optimization (SEO) tactics to rank at the top of Google and other search engines. We have helped companies with a magnitude of complex SEO strategies. 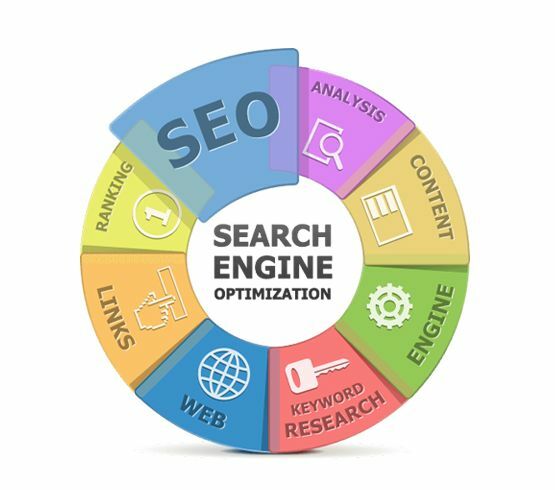 Our SEO specialists will conduct a thorough keyword research according to your business and services; it means that when someone does a search through a search engine for those keywords or key phrases where your site shows up on the search engine results page is decided by the keyword density on your website. Image ALT Tag and Name of the Image. List your website to the directories. Make posts and blogs in forums, discussion groups, mailing lists, newsgroups on the related theme . Our expert optimizers bring years of experience in different facets of Search Engine Optimization to make sure your website is getting the attention it deserves.